Phones are designed to help us stay organised, so it’s ironic that a lot of people’s phones are a total mess: apps all over the home screen, hundred of selfie outtakes, messages from five years ago. Virtual clutter is every bit as distracting and time-consuming as real clutter. Luckily, decluttering your phone is easy – here are a few top tips! If you’re anything like me, your phone is littered with apps that you don’t use anymore. Not only do these apps take up valuable storage space, but they make it harder to find apps you actually use too. One of the most effective ways to root out the apps you don’t use anymore is Konmari, a decluttering technique pioneered by bestselling author Marie Kondo. It involves picking up the items you own one-by-one and asking “does this bring me joy?”. The virtual equivalent of this is opening each app on your phone and questioning a) whether you enjoy it and b) whether you really need it. You should know the answer to both fairly quickly. If you decide an app doesn’t bring you joy or provide any kind of value, delete it. Unless you’re a professional photographer, it likely takes you a couple of tries before you take the perfect (or close to perfect) picture. All of those outtakes soon add up, cluttering your gallery and eating up storage space. Getting rid of your unwanted photos is easy. Just go through your gallery, select the photos you don’t want anymore and delete them. Depending on how many photos you have, this can take between 30 seconds to 5 minutes – no time at all, really. Take a look through your video library too. How often do you watch back low quality videos from a gig? Do you really need that video you uploaded to Facebook at 2 in the morning? Delete them and enjoy the extra storage! Even the photos and videos you want to keep don’t need to live on your phone. Upload them to your computer or send them to the Cloud. Oh, and don’t forget to turn off the auto-save function on messaging apps too… unless you want your gallery to be clogged with questionable memes and dodgy videos. Push notifications are often useful (especially the ones from a certain company named after a bird *coughcough*) but they can also be pretty distracting. To figure out which push notifications you actually need to see, make a list of every notification you receive over the course of two weeks and turn off the ones that don’t provide any value. If you struggle to find stuff on your phone, folders are an absolute godsend. The key to effective folder organisation is using strong but simple themes for each of your folders: productivity, games, shopping, social media and so on. Then put each of your apps into the applicable folder – simple! 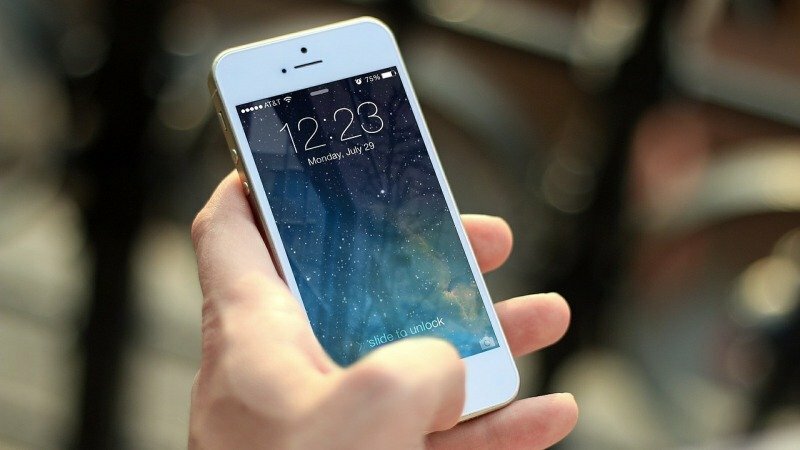 Apps like BreakFree and Moment track the amount of time you spend on your phone by app, which is useful for determining how exactly you use your phone and which apps you actually need to keep. Tracking the time you spend on your time can be extremely eye-opening too! Planning to upgrade to a new phone, or just want to sell the devices gathering dust around your home? Sell your mobile phone with musicMagpie! Simply get an instant price, send it for FREE and we’ll pay you the same day it arrives.